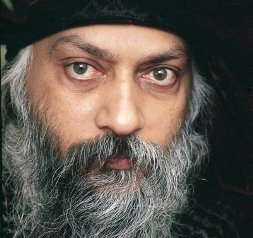 Today is the anniversary of the birth of Osho, also known as Bhagwan Shree Rajneesh, born on 11 December 1931 (9.10.3) with Sun in Sagittarius, Moon in Capricorn and Ascendant in Gemini, and Moon conjunct Saturn. Osho was for me a decisive Master, the one who opened up the way for a major shift in my awareness. I met Osho in a crucial moment of my life, when I was confronted with a rather dramatic situation. My potential, which had been kept buried for ages, was pressing with extreme force. I found myself walking on a thin rope, which I knew would break at a certain stage. Then, I reached that stage, and I realised that I had only a few seconds to decide what to do. Falling appeared indeed inevitable and there was no way out. In that crucial moment I realized that although the rope would inevitably break, there was still a possibility of choice, which was falling or jumping. Falling meant surrendering to the fate of being a victim, having no hope and let myself die. Jumping implied that I could use the ultimate beats of my heart, my last breaths, to proclaim my highest dreams and deepest vision. In that final moment, there was only a thin rope, the void and me. All the world around, all the voices that spoke within and without had ceased. Total silence, only the choice: falling or jumping. And I jumped, and those dreams, that vision, became my reality. As a matter of fact, since the time when I chose to jump, I have found myself on many other occasions on that thin rope. And they were all as dramatic as the first time. To be honest, on many occasions, I did not jump, I fell, precipitating into the abyss, into places where it was not possible to go lower. A few days ago, I found myself in another most dramatic situation, where I could either fall or jump. As a matter of fact the situation was a bit different, because the problem here was that I kept jumping, refusing to fall. Falling implied letting myself go, accepting that I didn't have to jump, that I didn't have to go anywhere or change anything, that all I had to do was fully accepting where I was and had been for so many years. And when I became aware I did fall and also jump, and the leap that I took was exactly on the spot were I was, and I am, which is my community. Hence I can say now that I acknowledge another decisive Master, which is the community were I have lived since 1999. It is a Master with thousands of faces, changing every day. Osho was the first Master for me, and the Findhorn community is my beloved Master now. "Chief Seattle in another of his words said, “Why should I lament the disappearance of my people? All things die. The white race will find this out, too.” So yield to what is coming. We're in a free fall into future. We don't know where we are going. Things are changing so fast and always when you are going through a long tunnel anxiety comes along. And all you have to do to transform your hell into a paradise is to turn your fall into a voluntary act. It's a very interesting shift in perspective, and that's all it is. Joyful participation in the sorrows, and everything changes."